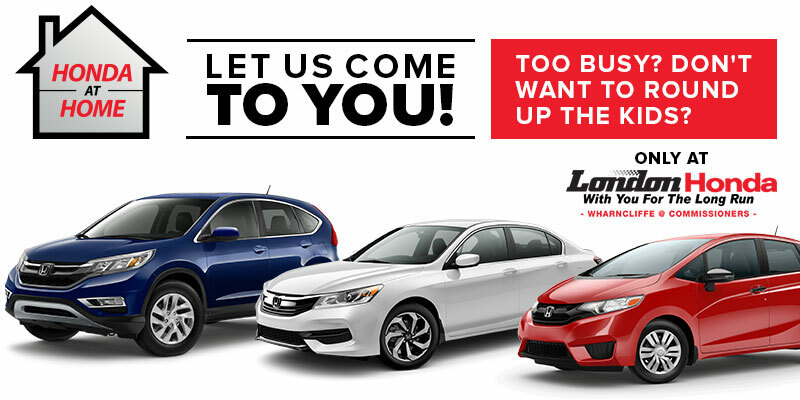 Book a London Honda test drive at your home or work today! Don't want to round up the kids? See how the vehicle fits in your garage or parking spot! Will it fit?! See how your child seats, pets, luggage, and sports equipment looks inside! No-hassle, no obligation appointments that fit your schedule!